The color of the focal Fancy Deep Brownish Orangy Yellow diamond is many layered and beautiful. Complementing it are two pear shape Fancy Purplish Pink diamonds. 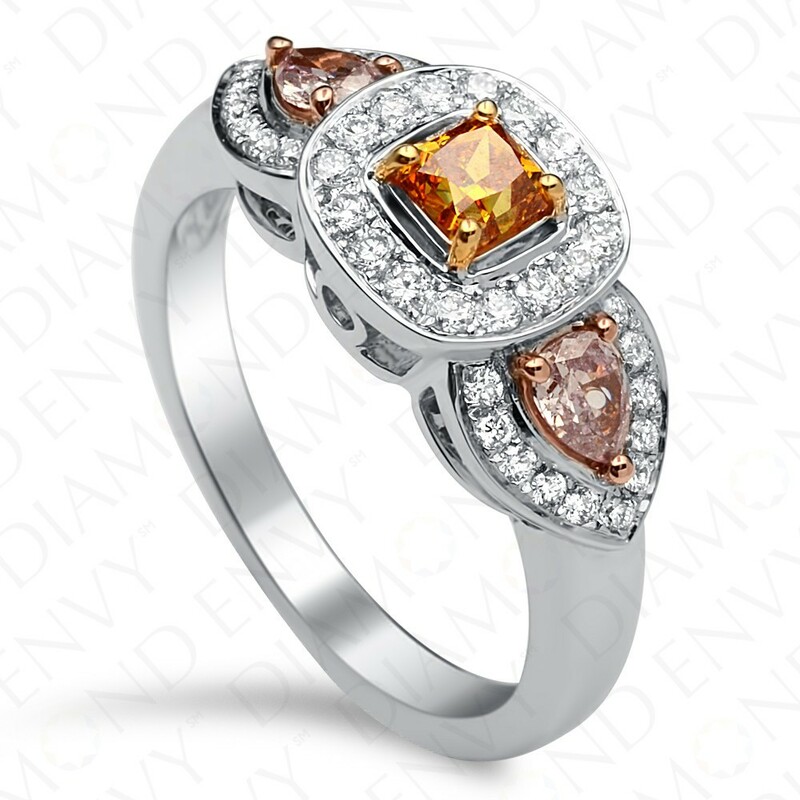 With pave set white diamonds surrounding each colored diamond, the colors pop out even more. Gold weight: 6.37 grams. 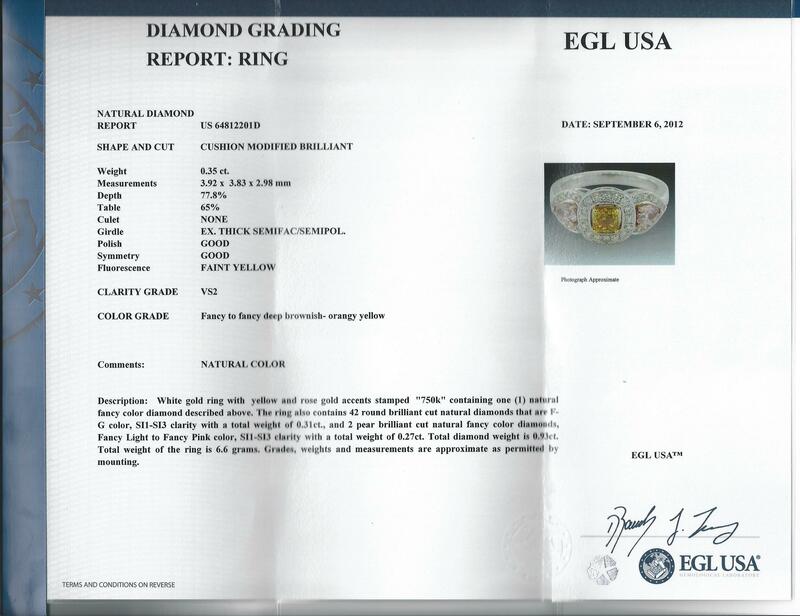 Center stone is EGL certified.